Botox and Fillers as a non-surgical solution to achieve a Youthful Look! Book Your Appointment with Dr. Finger Today! Botox, also called Botox Cosmetic, is actually Botulinum toxin. It has been used for decades and when injected properly is extremely safe. Generally, it is used for correction of certain moderate to severe wrinkles, such as the frown lines between our eyebrows or Crow’s feet lateral to your eyes. It is a temporary solution and lasts for about 3 to 4 months. However, if it is injected every 3 months for about a year, the muscle atrophies and you can maintain the effect by having the injections every 5 to 6 months, in our experience. Botox Cosmetic is also used in “off-label” areas, such as the turned-down corners of the mouth, the wrinkles of the upper lip and certain wrinkles of the lower lid and cheek quite successfully. Botox blocks the nerve impulse to the muscle relaxing the muscle. The contracting muscle creates the wrinkle. So when it is relaxed, this, in turn, relaxes the overlying skin and wrinkle. After Botox injection, it takes about 4 to 5 days for the full effect of the Botox to take place. Only the muscles in the immediate area of the injection are affected. There have been reports of complications with Botox, but these have been when used in high doses for large muscle spasms, such as seen in cerebral palsy patients. In smaller doses for Aesthetic use, the complications have been only when the doctor used a non-approved product, and/or it is not accurately prepared and the dose is unknown. We use a 31-gauge needle, which is not much larger than a hair, to inject Botox and to further reduce any discomfort, we apply a numbing cream followed by ice. The discomfort with fillers and injectables is very minimal. Juvederm comes in three forms, Juvederm, Juvederm Ultra, and Juvederm Ultra Plus. Each succeeding one had a longer duration. The Juvederm UP will last up to a year, and this is the one we almost exclusively use. Juvederm’s are made from hyaluronic acid, a natural substance in our bodies. The official approval by the FDA is for use in the nasolabial creases or folds, often called the “smile lines.” We also sue it “off label” for other areas, such as the Marionette lines beneath the corners of the mouth, wrinkles un the upper and lower lips, to increase the volume in the lips and other areas of depression. These products are fillers, and they are injected in the wrinkles themselves to increase the volume and lift the wrinkles. How is Juvederm Filler injected? A very small needle is used to inject the Juvederm after applying an anesthetic cream followed by topical ice to further numb the area. For lip enhancement, dental blocks are used to avoid any excess discomfort. Restylane is another hyaluronic acid product used for filling and dermal lifting certain wrinkles. Restylane is also commonly used to “plump up” both upper and lower lips. Like Juvederm, it is not made from animal parts and requires no skin test. Restylane Silk for lips was just FDA approved in 2015 and was one of the most popular fillers in 2016. Both Restylane Silk and Restylane are injected with a very small needle directly into the dermis of the wrinkles, thus elevating and diminishing the wrinkles and plumping face and lips. It Is uniquely effective, for depressions and shadows under the lower eyelids, as well the nasolabial crease, marionette lines, fine lines around the lips and the lips. 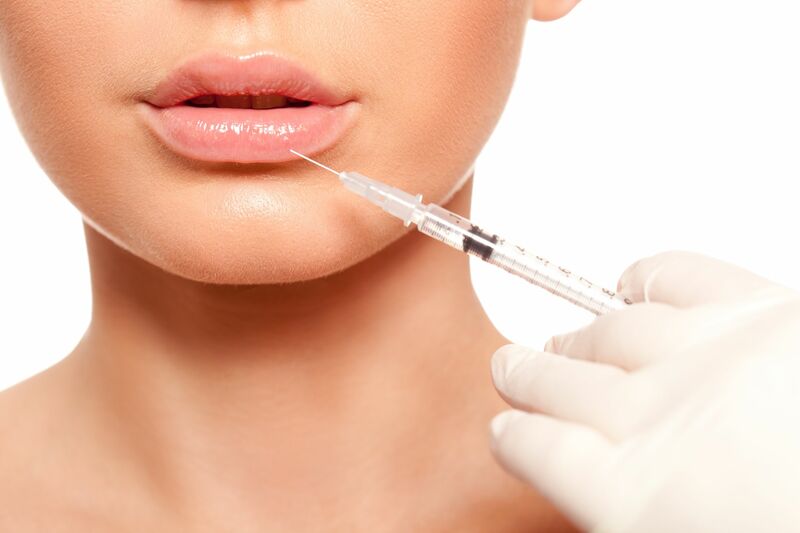 Restylane and Botox are probably the most common injectable products use in the U.S.A, Both are supremely safe, although some skill is required from the plastic surgeon to assure smoothness and natural appearance. How long do Restylane Products last? Typically, 6 to 9 months. However, if a second injection is used between 4 and 6 months, it is said the duration is 18 months. Sculptra Aesthetic, former called Sculptra, unlike the HA’s (hyaluronic acids) such as Juvederm and Restylane, is more of volumizer, which still helps with wrinkles. Imagine a deflated beach ball, which will have folds and wrinkles. If you fill it up, it is smooth gain. The result of injecting of Sculptra is very similar. Sculptra is a powder that we mix with water to allow injections. The powder is poly-L-Lactic acid, a biodegradable, biocompatible synthetic material that has been used by physicians for decades. Its mode of action is to stimulate collagen, which in turn can re-volumizes your face. It will last up to two years, which is longer than any other product with the exception of Voluma made by Allergan. Voluma is the only long-term solution that is instant and last as long in Sculptra. It does not depend on your own body’s collagen production. Often the loss of volume is more significant than the loss of elasticity. The Sculptra is very effective in replacing the lost volume. This increase in volume diminishes the shadows that occur with age and elevates the face. Sculptra is also injected right on the bone to increase the thickness of bone, as Bone loss is a major cause of volume loss with age. What are other Benefits of Sculptra? Rather than simply filling wrinkles, Sculptra can change the shape of a face back to more youthful shape by replacing the lost volumes that occur with the aging process. The process of correction is over a few month or more. Sculptra stimulates your own collagen production, which takes time. The first couple of days “happy edema” (swelling) will give you an idea of what the end results might be. Sculptra is extremely safe, but it must be injected correctly. If not, small nodules, usually temporary, may occur, particularly around the lower lids if injected there. Training sessions are necessary for anyone to purchase and use Sculptra. Dr. Finger has been a national trainer for Galderma for 6 years. He trained physicians and Estheticians all over the country on how to inject Sculptra. Dr. Finger has injected thousands of patients with Sculptra for over 2 decades. Remember that Sculptra is very different from other fillers, it is not instant gratification and produces gradual results over a 3-6 month period of time. Older patients (65 plus) may opt for Voluma, as Sculptra requires your own body’s collagen production for best results. For the loss of volume, the treatment requires injection of “ dermal fillers” or fat grafts. The most common fillers are Juvederm, Restylane, Restylane Lyft, Sculptra, and Radiesse. All have their individual best specific uses, e.g., for the hollows under the eyes I have found in my hands the best fillers are either Restylane or Sculptra (most doctors will not use Sculptra in this area, and it must be injected very carefully or nodules may result). Conservative injections are the order of the day as far as I am concerned. It’s much better to have another injection session at a few weeks later than to have over-injected any product. Also, it takes a few weeks for some patients to get used to the new look like they did 5-10 years ago. Fortunately, hyaluronic acid products such as Juvederm, Restylane, and even Voluma are reversible with injections of the enzyme hyaluronidase– hopefully, this will not be needed. So which fillers do I use? All of them, according to the patient’s volume loss and goals. A careful examination of the patient is necessary and a discussion of the goals and the pros and cons of each product. None of the products are perfect for all areas. Sometimes I use a couple of products in one session, such as Voluma for volumizing the cheeks and Restylane for under the eyes. All injectables take about 30 minutes to perform. A final pearl — patients should be injected sitting up and not lying down. People look quite different in the supine and sitting position.